Here comes another short sunrise post. I had an appointment early this morning so I’m writing this in the late afternoon! This morning was much cooler than I would have expected. 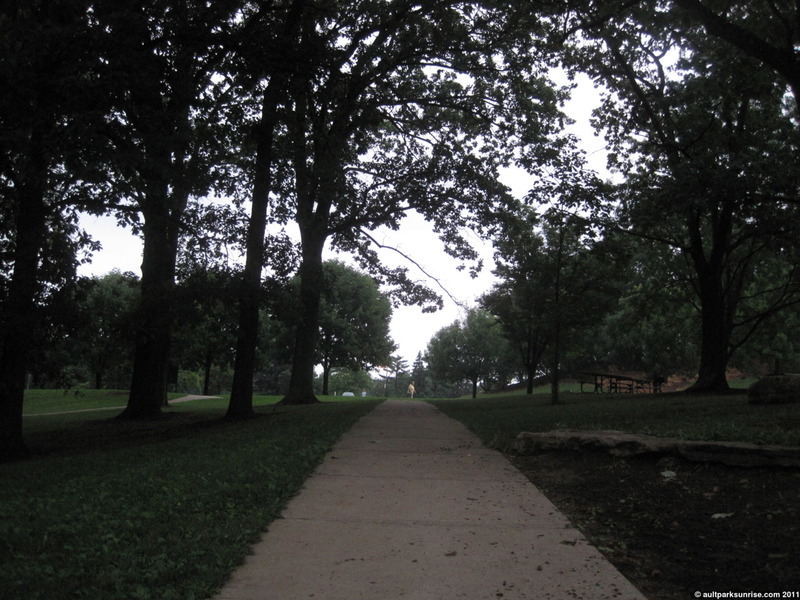 The park was quiet and wet and dark, and it made for a peaceful sunrise even though the sun stayed hidden behind the clouds. 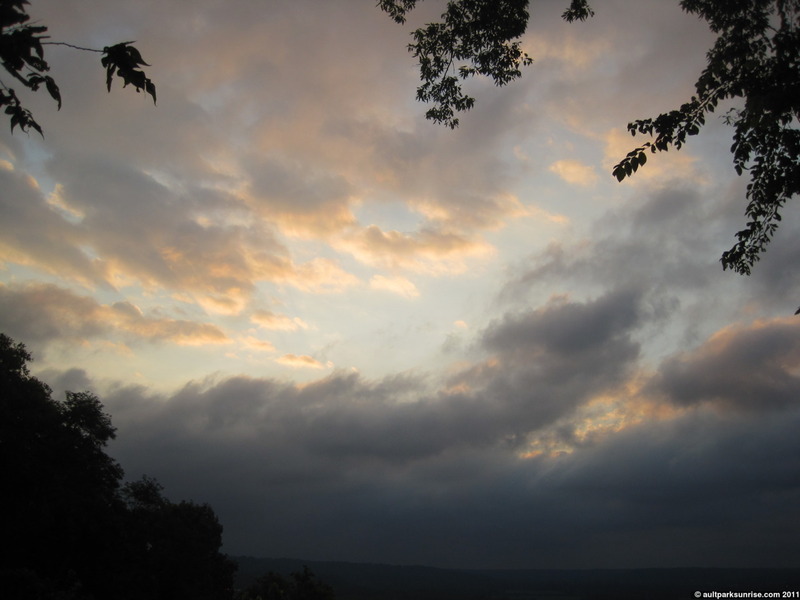 There were several storms that came through over the weekend and it seems like the clouds are still hanging around. I was pleasantly surprised with the temperature. It looks like we’ve got some mid 70s / low 80s ahead of us. I couldn’t ask for more perfect weather! Looking back up the walkway from Heekin Overlook. The ambient light was dark with a gray sky. Just as I was about to leave, the wind picked up and blew an opening into the sky above me. The blue sky shined through the clouds and gave me some hope that the day wouldn’t be all gloomy and gray. As I write this (Tuesday afternoon) the skies are bright blue with small patches of puffy cumulus clouds. I have great expectations for tomorrow’s sunrise. 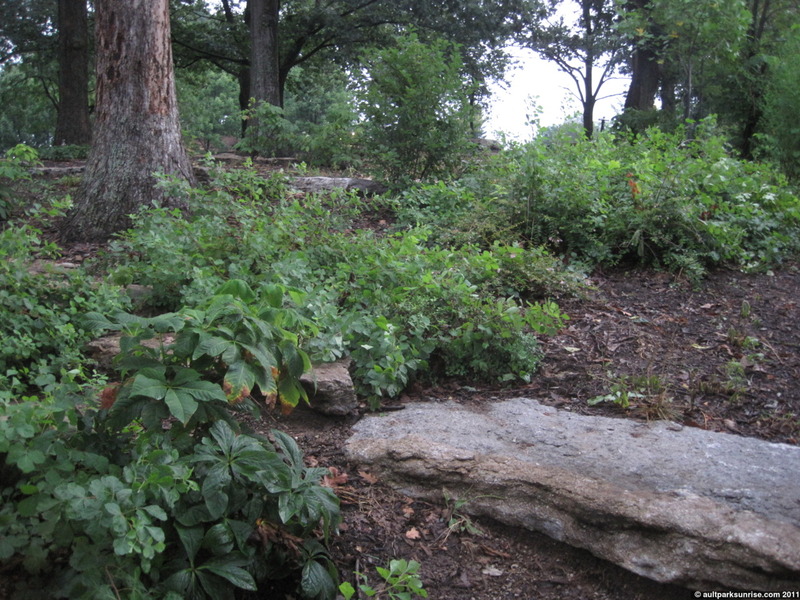 This entry was posted on August 9, 2011 by Ault Park Sunrise. 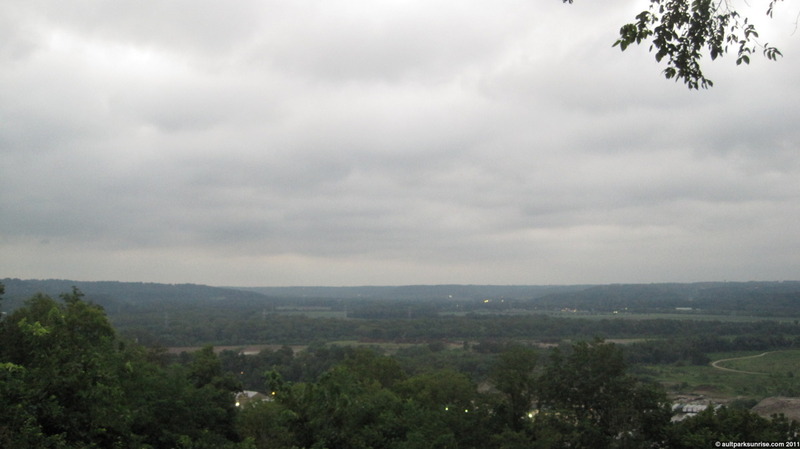 It was filed under ault park, overcast and was tagged with ault park, cincinnati, overcast.